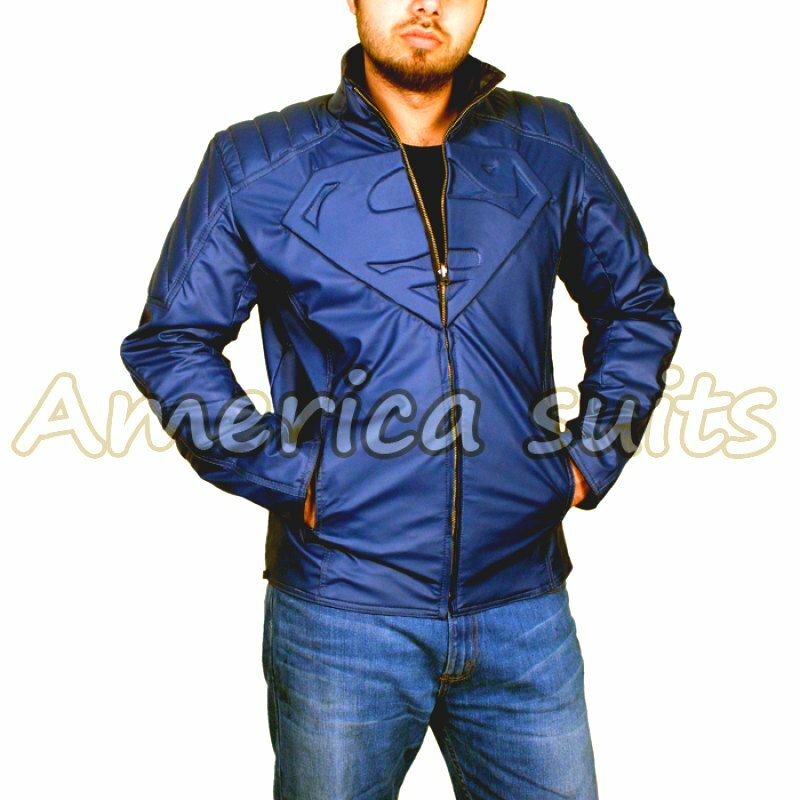 Americasuits the original creator of this jacket introduce a well-known TV character Superman who uses super jacket as his costume. And now “Super man Leather Jacket” is available in our online store of Americasuits. The most considerable feature is that it is made from genuine leather which is distinctive and of superb quality than other jackets. The combination of black and black colors is more stunning and gives an outclass look. The embossing of Superman logo looks beautiful on the jacket which makes its demand high.Customer can also place their order with their additional information and requirements so that we can provide satisfaction up to maximum extent. To order this awesome jacket please contact our online store.